The party has always harbored conservatives and sell-outs to big business and pro-austerity boosters. The point is not to deny them, but to beat them. Here’s a pet peeve of mine. It’s when people refer to the “democratic wing of the Democratic Party.” Or who say of a Democrat who makes consistent moves to the right, “Why doesn’t he just join the Republicans?” It’s not the underlying sentiment; I want Democrats to stop doing right-wing stuff as badly as anyone. The problem is descriptive—and, ultimately, strategic. The fact is that the Democratic Party in modern times has always had a conservative wing, one frequently as strong or stronger than its liberal wing, and as such, when progressives speak of the party as a vehicle that naturally belongs to them, as if by right—until conservatives stole it from them—they weaken progressivism. The fact is, the history of the Democratic Party has always been one of ideological civil war. And if you don’t realize you’re in a war, how can you win it? Let’s review the game tape. Take it all the way back to 1924—when both parties had both left- and right-wing factions (before that year, the great progressive reformer Robert “Fighting Bob” Lafollette of Wisconsin was a Republican), when there was no reason to believe the Democrats would be the ones to become the nation’s established left-of-center party, and when at the presidential nominating convention the civil war came down to 103 ballots (and gubernatorial fistfights on the convention floor) over issues like Prohibition and whether the party should be for the Ku Klux Klan or against it. 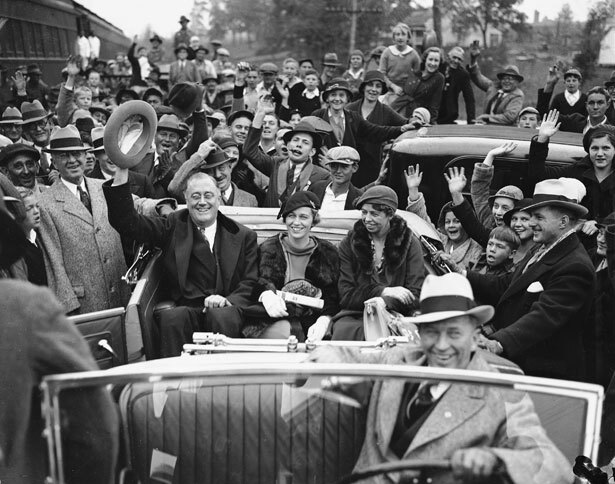 It was of course with the ascension of Franklin Roosevelt in 1932 and after that the idea of the Democrats as an institutionally liberal party became credible, though many delegates who voted for him at the convention didn’t necessary think or know they were voting for a liberal. Many voters didn’t think so, either, but just marked the ballot for him because he had a “D” beside his name: They were Southerners, and saw the Democrats as the only political bulwark against the racial mongrelization of America. The progress of the New Deal, we now understand, rested on a fragile and complicated coalition joining visionary progressives and the most fearful reactionaries—and when an overconfident Roosevelt overreached to try to put the reactionaries in their place, in 1938, he almost lost control of the whole thing. With the coming of the civil rights era, the war played out against that precise template: Northern progressives asserting themselves, Southern reactionaries threatening to pack up their votes and go elsewhere—a melodrama that began with a bang in 1948 when Strom Thurmond led Dixiecrats out of the convention and into his own segregationist presidential run, and reached its apotheosis in 1964 when five Southern states went for Goldwater. That, of course, truly began the slow steady transition to ideological realignment, with more and more Southern Democrats voting Republican in each election. In fact, something like the opposite happened—as could have been predicted by the language of the “Watergate Babies” on the campaign trail. This battle goes way back. It’s written into the Democratic Party’s DNA. Acknowledge the other side, study them—take them seriously. Don’t let them play the underdog; that just advantages them, too. We’re in a fight here—always have been. They think they are the party—just as confidently as we believe we’re the party. The only way to make our vision of this party a reality is to work for it—and not to act surprised when their side works for it, too. Educate yourself about the contracts you sign, or you could easily fall victim to small print, Rick Perlstein writes.